August's #LAWatchGang GTG was probably the biggest to date. 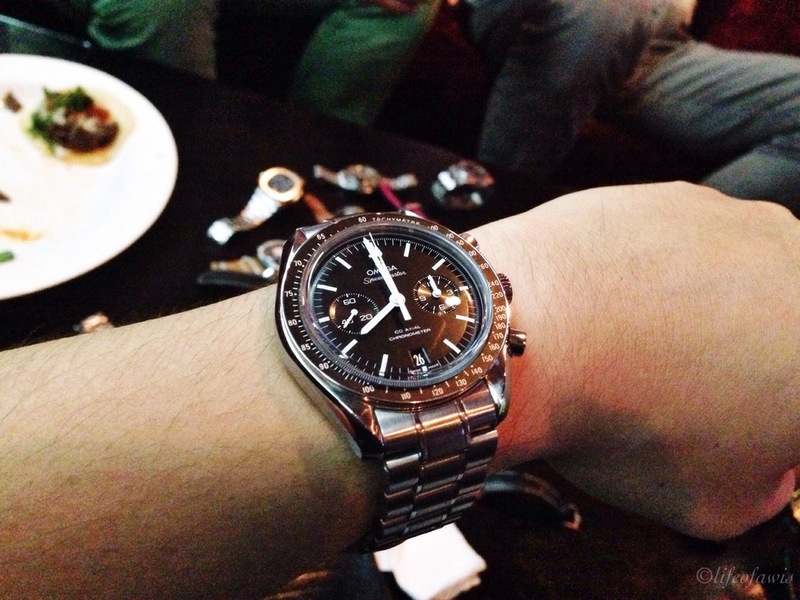 With over 15 people in attendance, the watches to drool over certainly did not disappoint! Among those watches, a vintage Rolex Blueberry GMT! A very very rare watch... blue steel insert, a red GMT hand, and that beautiful patina. Simply incredible! Same watch collector also came with a gold vintage Submariner with a turquoise dial. The dial alone was a stunner. The very very rare vintage Rolex Blueberry GMT. A few Pateks also made it to the GTG... a steel Nautilus ref.5712 and a platinum annual calendar ref.5035. Steel Patek Philippe Nautilus ref. 5712. Platinum Patek Philippe annual calendar ref. 5035. More interesting pieces from the other members: Omega Speedmaster, RGM, Rolex Submariner No-Date, Blancpain, Concord, and a few others. The tacos and fries were insanely delicious. Apologies for the quality of the photos, unfortunately the lighting at the location is just not ideal for watches.